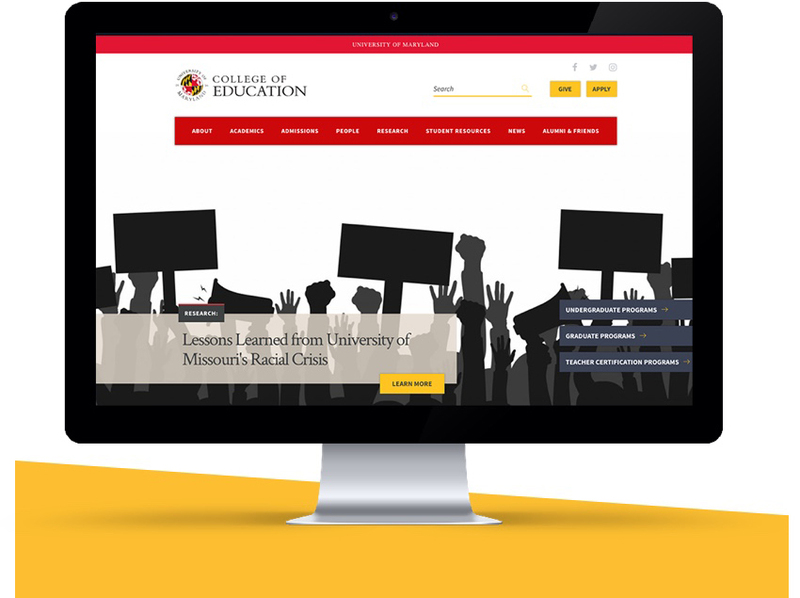 The College of Education at the University of Maryland (UMD) prepares students to become the world’s best educators, counselors, psychologists, administrators, researchers, and educational specialists. 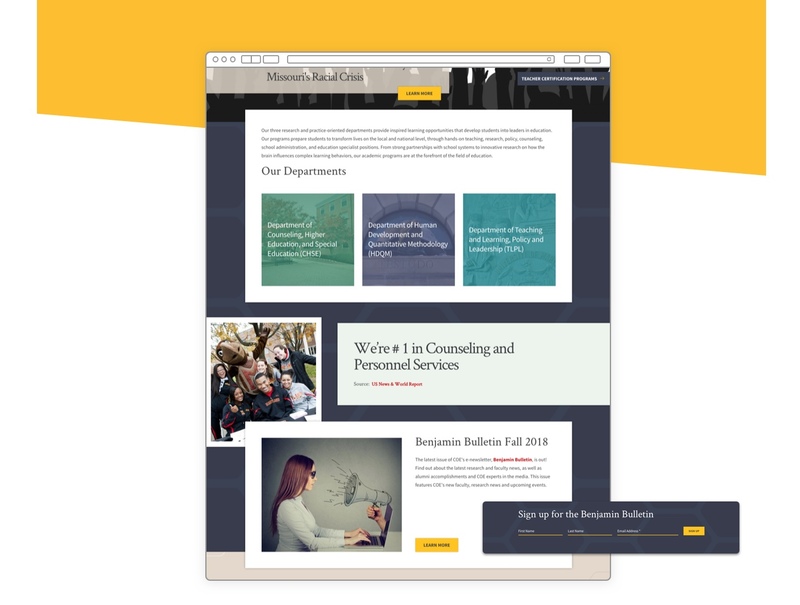 Leaders at the College of Education wanted the school’s website to reflect the innovation and vibrancy of their students, faculty, and programs. 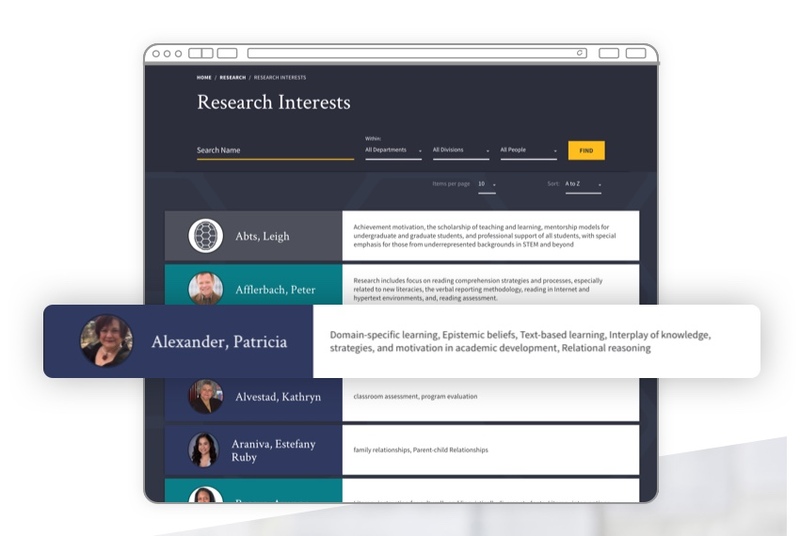 To accomplish this goal, Mindgrub worked closely with the College of Education to incorporate stakeholder feedback throughout the process, creating an end product that is well-aligned with user needs and expectations. 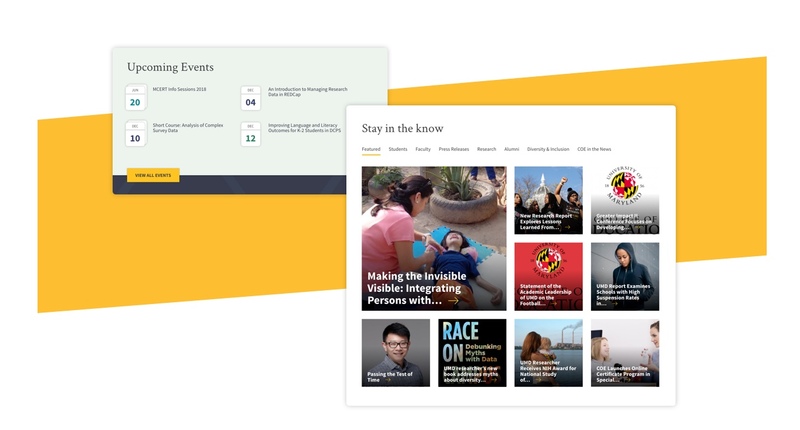 Working to create a richer digital experience for students, alumni, staff, and community members, our team focused on simplifying the site’s initial complexities with navigation and content templates. 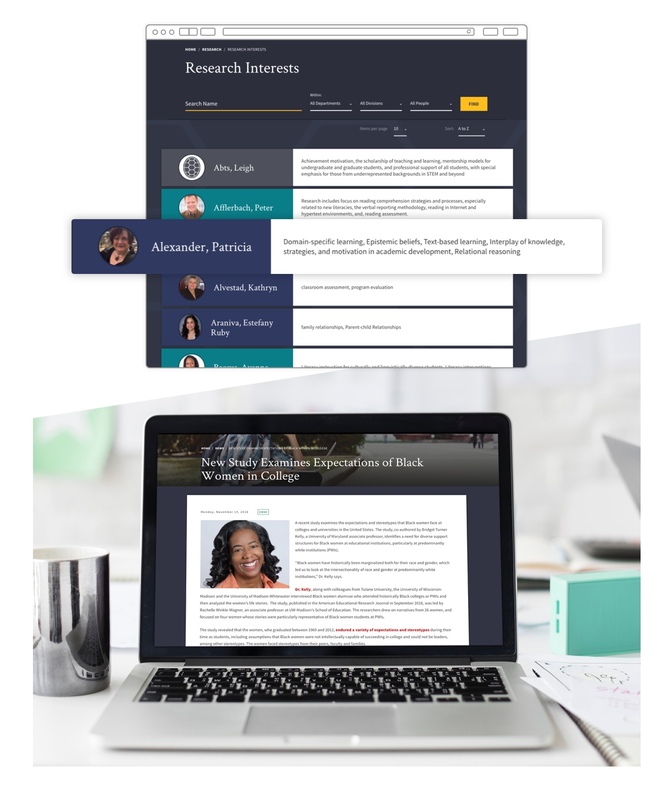 The revised sitemap has a straightforward information architecture, which is critical for both organic search performance and usability. 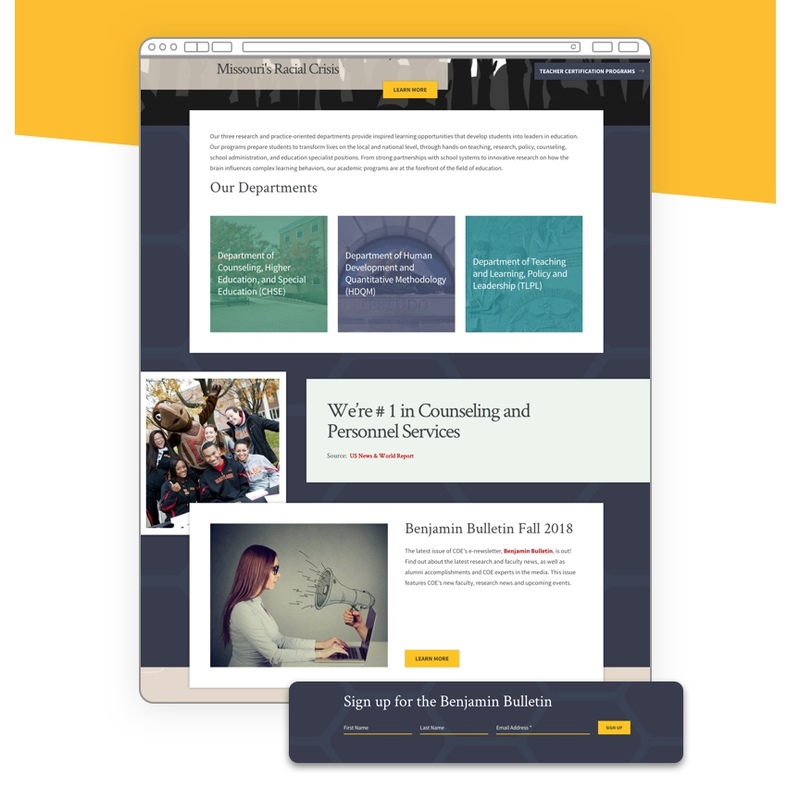 Mindgrub also ensured that the website redesign was 508 compliant, adhering to requirements outlined by the Americans with Disabilities Act (ADA). 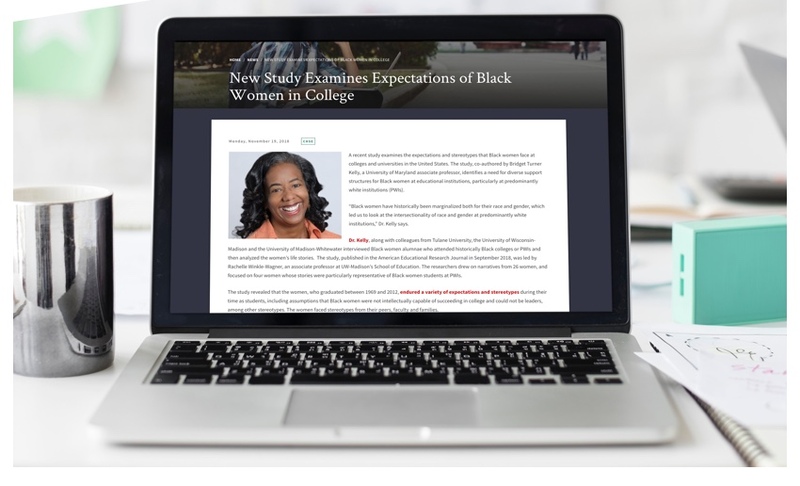 Core content areas for the site include a news module, an “about” page, program-specific details, admissions information, faculty and staff contact procedures, research articles, and more. 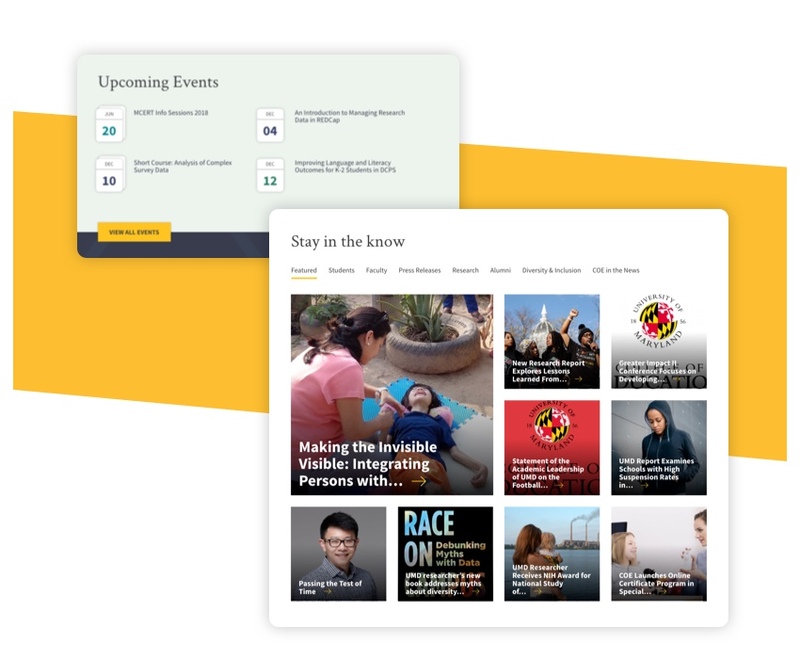 Additional functionality includes an events calendar, links to social media, and a newsletter signup form. 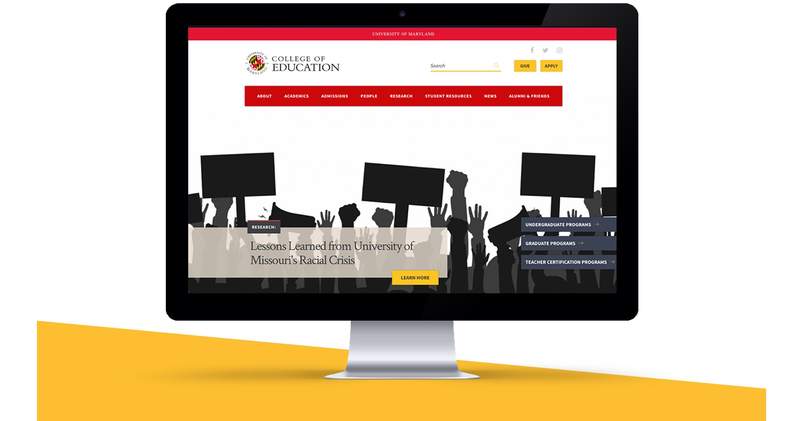 UMD College of Education web visitors receive an intuitive and dynamic experience where they can easily retrieve information and stay connected.